In the latest patch notes for Fortnite, among a number of changes and bug fixes were added, but a rather large change was made to the way matchmaking between consoles works that might not please some players. For the first time, crossplay is being separated into different silos, with PlayStation 4, Xbox One, and PC in one group and Switch and Mobile in another. The patch notes do not go into many details for why this split has been made, only that they "expect an on-average better per-game experience for both Mobile and Switch players." Since Epic hasn't specified why beyond "optimizations" helping playlists, it seems relevant to look at the differences between the versions to figure out why they would want to separate it out. Fortnite on Switch runs on a lower framerate by about half, which is probably the major reason. Outside of some very specific high-end phones, Fortnite runs similarly on mobile. The Switch analog sticks also have significantly more deadzone than either the Xbox One or PS4 controllers and it seems the Switch as a system has this issue on system-level. This means that fine-tuning aim can be harder on the Switch, but the gyro controls likely aid that a bit. These differences have been the core of the complaints on Switch and Fortnite subreddits, where players have been complaining for a few months about losing to other console players that are running at higher framerates and with different more shooter-oriented controllers. 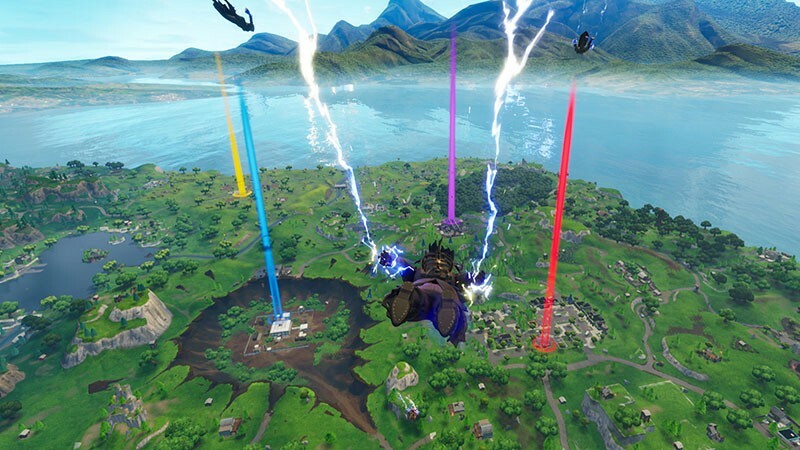 Epic likely saw a lot of this feedback, as they are quite reactive and communicative with the game's community, and made the change as a result. Players who party up can still match in different matchmaking pools, so it's not like there's a wall between friends anymore, but regular battles will be siloed off. It's not great for the Switch's reputation for Epic to publicly say it can't crossplay competitively with other consoles on Unreal Engine 4, which is likely why Epic didn't detail their reasoning for the separation. The new patch also requires players on Xbox One and PS4 to "opt-in" to crossplay, so if you want to reach across the aisle, it has to be a deliberate choice. Yup, Cuphead Is Better On the Switch. Here's Why.